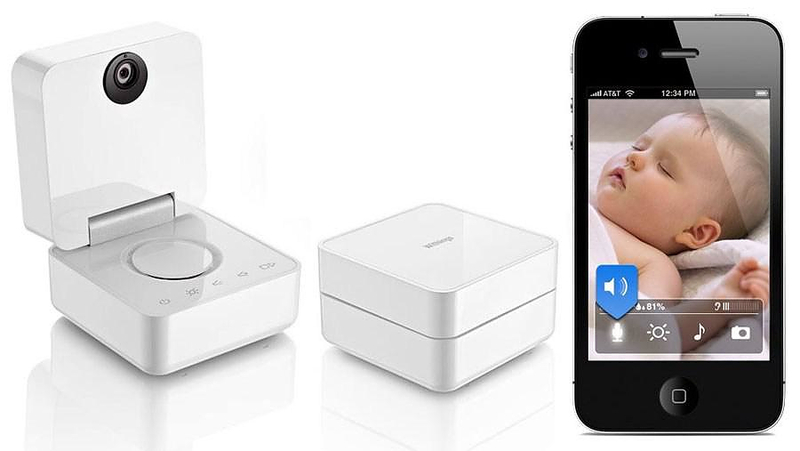 HomeBlogHome DecorWithings Smart Baby Monitor. 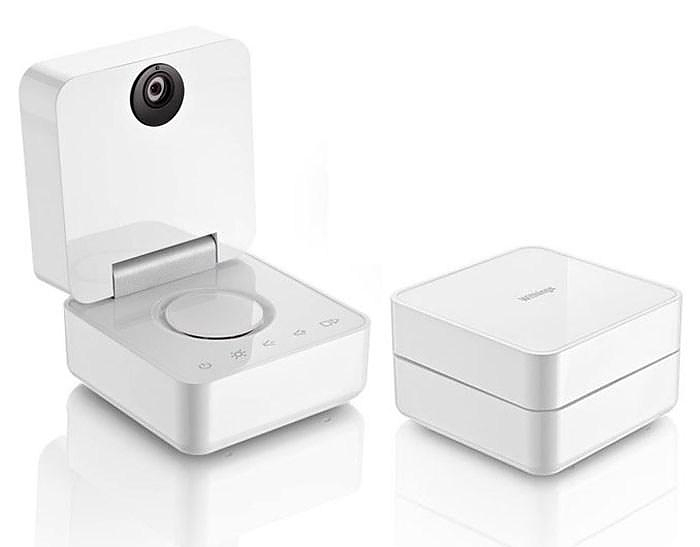 The Withings Smart Baby Monitor turns any iOS device into a super sophisticated video baby monitor equipped with microphone, speaker, humidity sensor, temperature sensor, and night vision. It is truly a innovative device for new moms and dads with smart design, compact size, and the latest technological features that will put any nervous parent at ease. 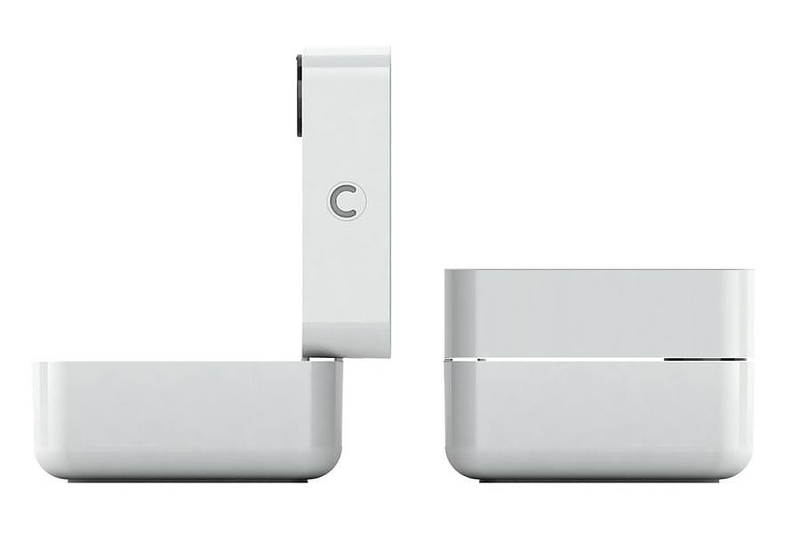 Its design looks very “apple” with its touch screen interface and its refined curvy white case. 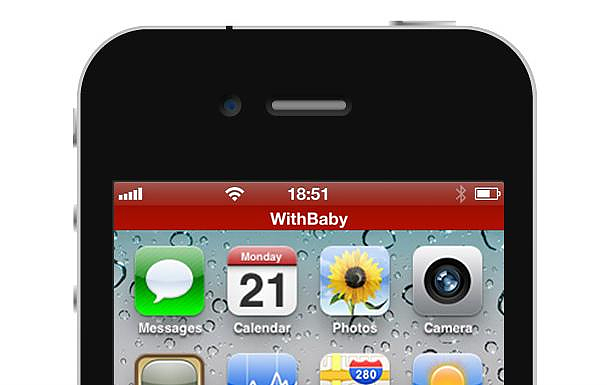 Its main innovation is that you can monitor your baby wirelessly using your iPhone, iPod or iPad without the need for additional screens or other handheld devices. 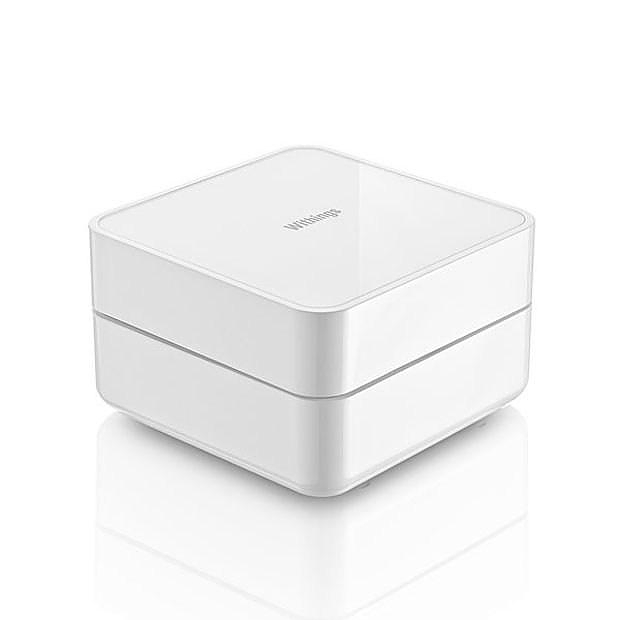 The Withings Smart Baby Monitor connects to your iOS device via Wi-Fi, Ethernet or Bluetooth and provided you have an internet connection you can even monitor your baby from anywhere in the world. The device is also equipped with an extensive range of other practical features. Its high resolution camera acts also as a motion detector and boosts LED infrared night vision up to 5 meters with automatic activation. 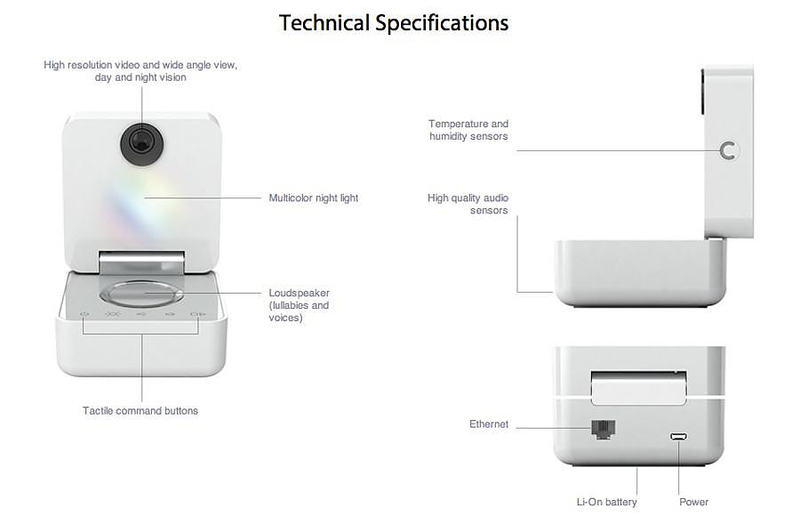 Moreover it offers crystal clear sound, detects movement and noise, has sensors to monitor the temperature and humidity in the room, can send you four different types of alerts, has a built in loudspeaker to play lullabies and its controllable LED color changing light acts as a soothing night light. Quite possibly THE most advanced baby monitor system available today. Unlike traditional baby monitors with a parent alert and a child unit, the Withings Smart Baby Monitor operates with the latest technological improvements allowing control from a smartphone application. It comes with a free iOS application available from the App Store: compatible with iPhone, iPad and iPod touch and 3 accounts can access the Smart Baby Monitor simultaneously, so both parents and a nanny can all be watching baby, if need be. You can set up automatic alerts to warn you about sleep disruption problems with your child. You can activate a motion detector alert if your child shows extensive fidgeting patterns. You can also be notified of the child’s noises and cries. Factors like temperature and humidity in the child’s room are also monitored. Just chose your alert type according to your requirements. 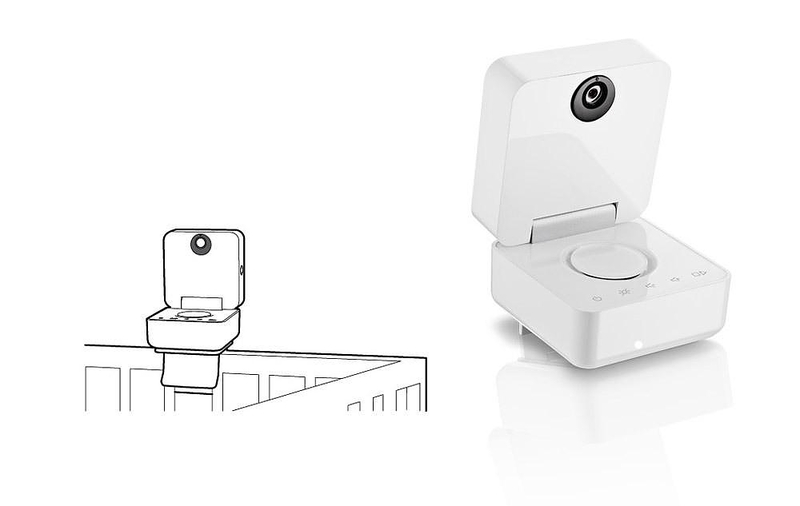 If you get an alert with the PTZ technology (Pan-Tilt-Zoom), you can virtually move around the baby’s room. Just slide your finger like you would on a web page to get a full view of your child’s safety. The 3 megapixel video sensor gives you an impressive picture quality drawing on the screen resolution on your iPhone. The wide-angle lens allows you to monitor your child at all times without having to move the baby phone to 90° angle. 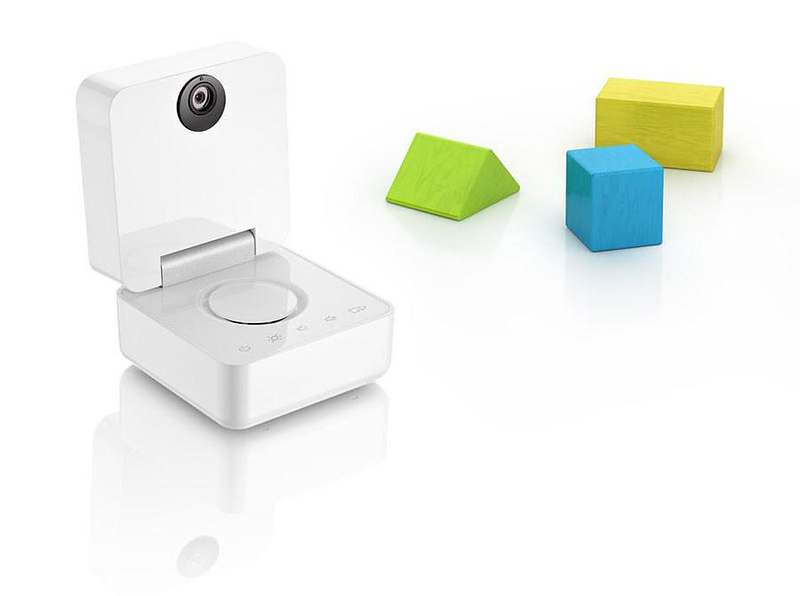 The Smart Baby Monitor received two prestigious Innovations Awards at the Las Vegas Consumer Electronics Show (CES) in 2011. In the “Health and Wellness” and “Personal Electronics” categories. 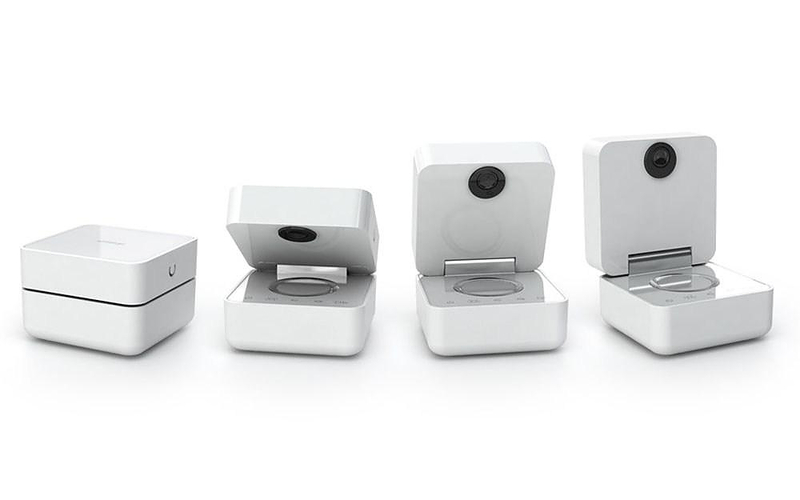 In addition, Smart Baby was nominated as a finalist with iLounge at the 2011 CES Best of Show. The design was also rewarded. Smart Baby Monitor was awarded two stars from the Observer, a prize awarded by the Agency for the Promotion of Industrial Creation (APCI). 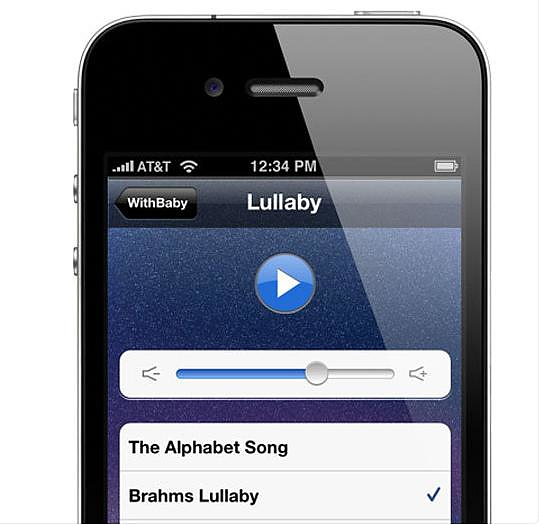 Furthemore, the baby phone has been nominated for the 2012 Deisngpreis in Germany. LG TONE+ Bluetooth stereo headset.